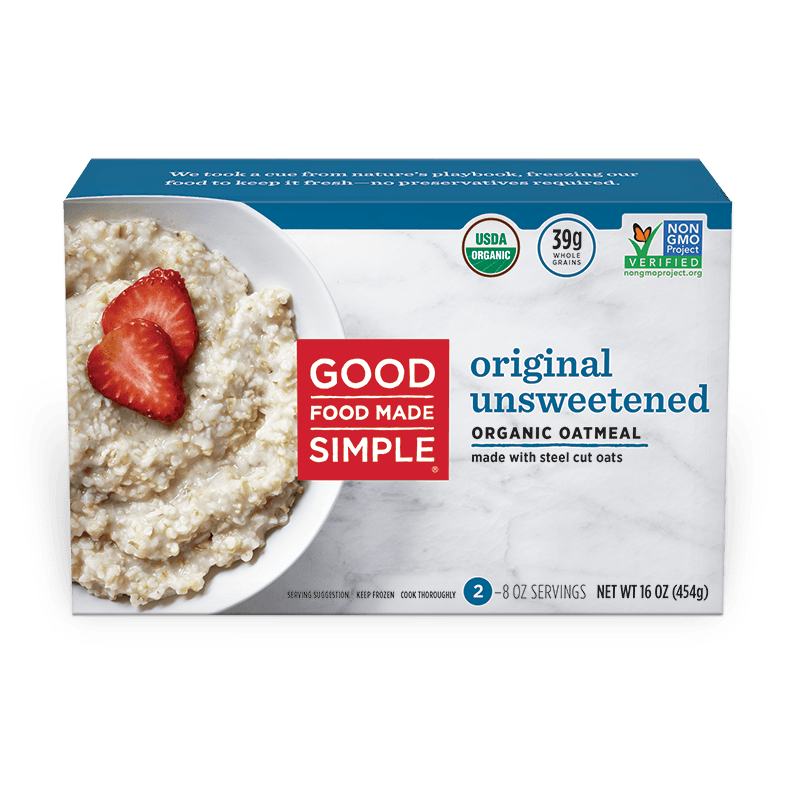 Made with organic steel cut oats, and with a nutty texture, enjoy our Original Unsweetened Oatmeal as is or add whatever makes you happy! Filtered water, organic whole grain steel cut oats, sea salt. Made with 100% steel cut organic oats, we believe in letting nature's flavors do their work. Slowly simmered, our oatmeal is flash frozen to preserve all of the whole grain nutrients. Steel cut oatmeal is made from the inner part of an oat kernel (the groat) that has been cut into pieces…the texture is nutty and granular. Not even extra packaging like a bowl you wouldn't use. Oatmeal, in your own bowl, in three minutes, makes your cooking and eating healthier...and easier.